Celebrity moms and kids were snapped out and about this weekend: Camila Alves, Tori Spelling, Kate Hudson, and more. New mom Selma Blair and her fiance Jason Bleick took their son Arthur Saint out for a walk near their home. Camila Alves spent the afternoon at a park in New Orleans, where Matthew McConaughey is shooting ‘The Paperboy’ with Nicole Kidman, Zac Efron, and John Cusack. 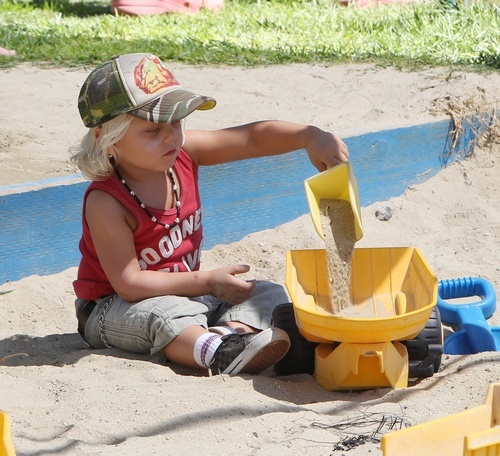 Kate Hudson was spotted picking up her son Ryder from karate class. 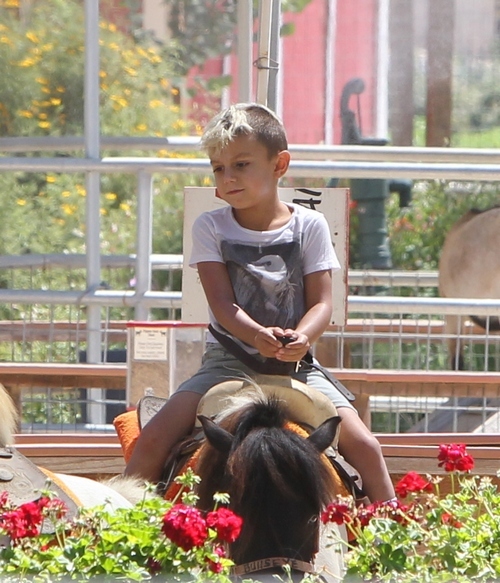 Gwen Stefani and Gavin Rossdale spent a day at the Underwood Family Farm with their sons Zuma and Kingston. 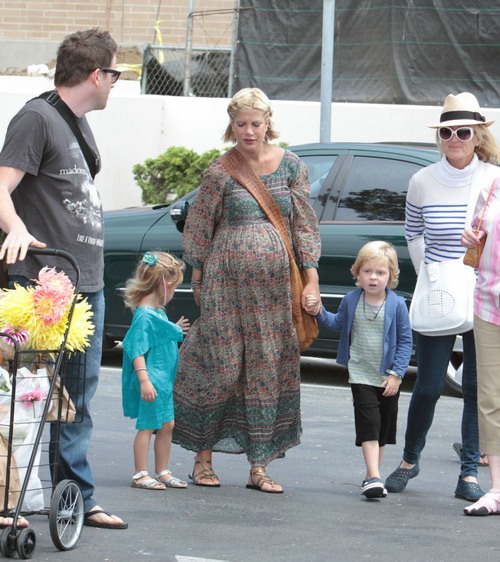 Expectant mom Tori Spelling hit the farmers market with her mom and her two kids, Liam and Stella.